During our course of conversation with the priest at Tandaga, he informed us about another stone temple situated about 3 km from Tandaga. He went on and appreciated the ASI, who helped restore the temple, which otherwise was in ruins. 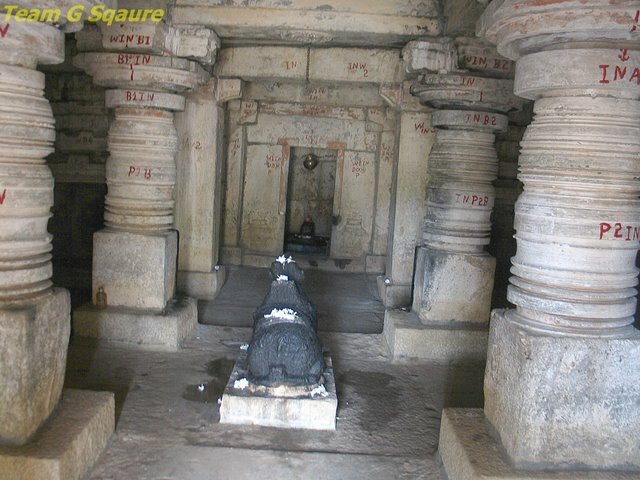 We were not aware of the temple of Kalleshwara in Hulikal. On following the directions given by the priest, we reached a canal, from where we had to take a right turn. Now, we were stuck in a rather funny situation, wherein there were two motorable roads turning right, running parallel on either side of the canal!! We stopped by to inquire a few locals about the route to Hulikal and none were really sure. Finally, we decided to trust our gut instincts and drove ahead, choosing one of the right turns. We traveled for almost 2 km with no signs of any temple around, nor any local in order to confirm about the route. We started to doubt our decision of taken the right right turn! Not giving up, we continued driving and luckily, an auto driver coming in the opposite direction confirmed to us that we were heading the right way towards the temple. A lady sitting nearby the temple confirmed to us that it was the Kalleshwara temple we were looking for. The temple has undergone restoration recently. Sadly, there were no signs of any further maintenance, which was evident by the sight of water logging around the temple itself. Though the temple was locked, we were able to peep in and get a glimpse of Lord Shiva and his guardian Nandi through the grilled door. 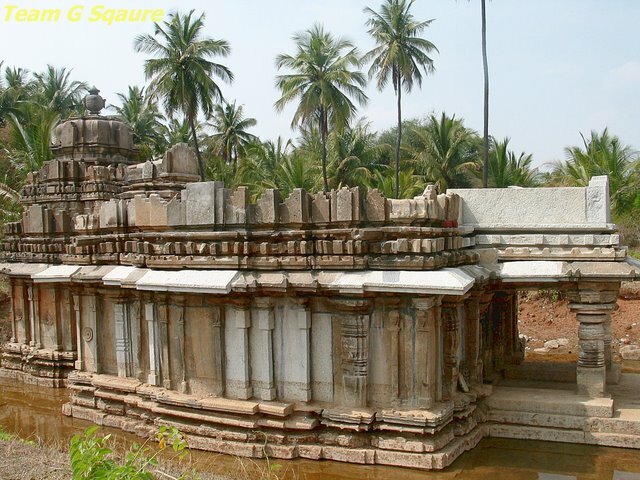 The architectural plan is very similar to the Chennakeshava temple of Tandaga. 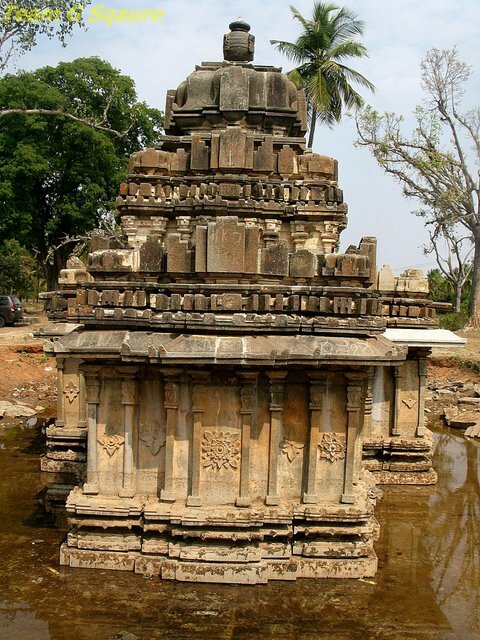 This temple was built by the Hoysalas, who, as we all know, are the masters of intricate temple architecture. Surprisingly, the Kalleshwara temple seemed to have the simplicity and plainness unlike most of the other hoysala temples, known for their artistic intricacies. 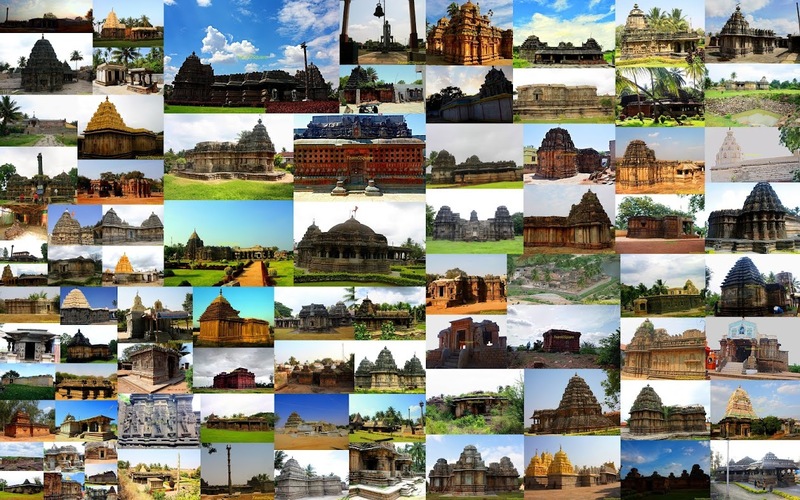 Though all the Hoisala temple look similar, I do love to see them again and again.. A wonderful post TSG.. Have a great 2012..! thank you and wish you and yours a super 2012 too! I do love your header and it's message! And you've taken us on another wonderful trip! Thank you! Wishing you and your family a wonderful, Happy New Year! Enjoy! Great post and I too love the header. Good to know there are so many interesting places near Bangalore! 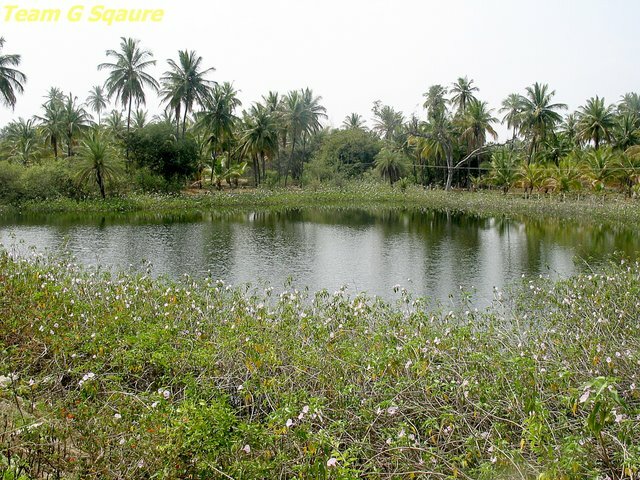 With your posts I always discover a little piece of India that I had never known! Keep it up. All the best for 2012, much cheer and happiness to you. Happy travels as well! Love the architecture and the beautiful pics! The header is wonderful, loved the message! Yet another example of Hoysalas architectural maturity. The thick cyclindrical pillars outside the sanctum are superb. it is a nice temple in a very nice location. Wonderful shots! Best wishes in 2012. Wonderful post with beautiful pictures and excellent narration.Wishing you A Happy 2012 . Did you visit it during the rains. There's water pool around the temple. That trip must have be thrilling isn't it? 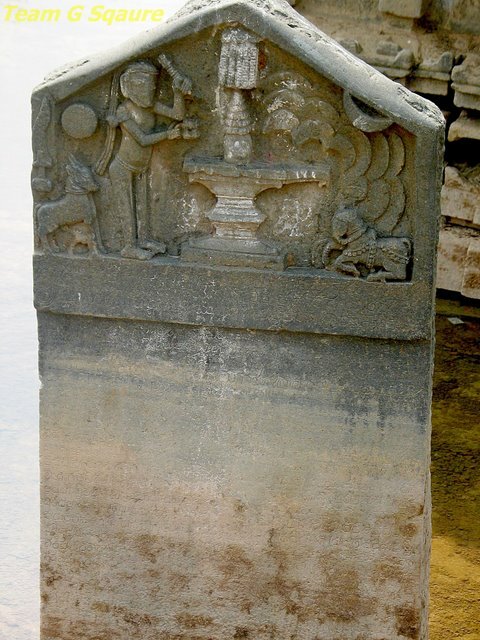 do you know anything more about the inscription stone image? Looks like Kannappa Nayanar to me! Nice find!! 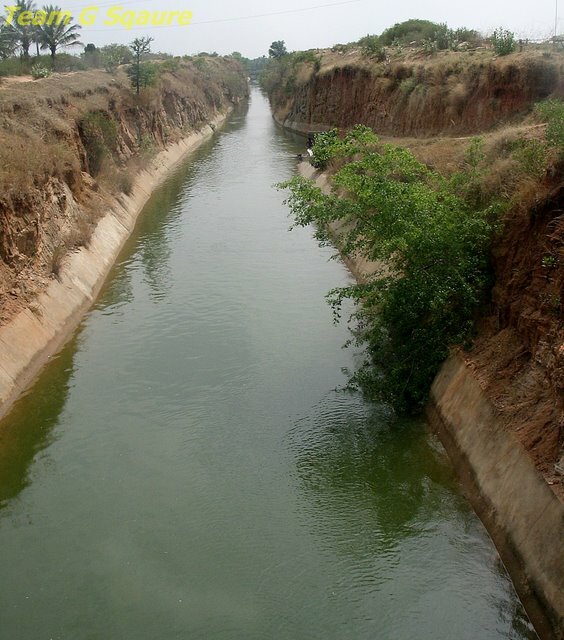 When I was in Tandaga, went on a long walk all the way to this canal and came back, but was not aware of this temple. Will visiti this when I'm in Tandaga next time. It sounds as if you had quite an adventure getting to this temple, but I think it was worth it. While I'm glad the temple was restored, it's a shame that there is no maintenance being done. The temple is beautiful. Lovely pics, the architecture is grand! Interesting. I always prefer to find these pieces of history off the beaten track. Makes me feel a little like Indiana Jones.